The powerful global brand of TED combined with the hunger in our local community for engagement with ideas worth sharing, has meant that in every year since its inception, TEDxBend has completely and quickly sold out. For 2017, we hope anyone who wants to attend can do so! TEDxBend’s sixth annual event entices all Central Oregon locals to attend, especially first-timers. For 2017, we aim to meet the community access challenge of the past by doubling the event duration and offering twice as many performers, resulting in, you got it: twice as many available tickets! In past years, the event was a five-hour show with breaks and an evening bash. This year, there are TWO five-hour sessions with a lunch break community festival featuring MOselyWOtta and Ubuntu and comedian Chelsea Woodmansee, lots of interaction opportunities, and lunch. Attendees can buy a ticket for the morning or afternoon session, or double up and join TEDx for the whole day. This year’s program mixes speakers from Central Oregon as well as throughout Oregon, in addition to far flung cities such as New York and Charleston, North Carolina. Check out the tine-up at www.tedxbend.com. TEDx is the local version of TED, the international phenomenon that takes place annually in Vancouver, BC. TEDx events take place all over the world and run the gamut from large, professionally run experiences to small, pop up student events. 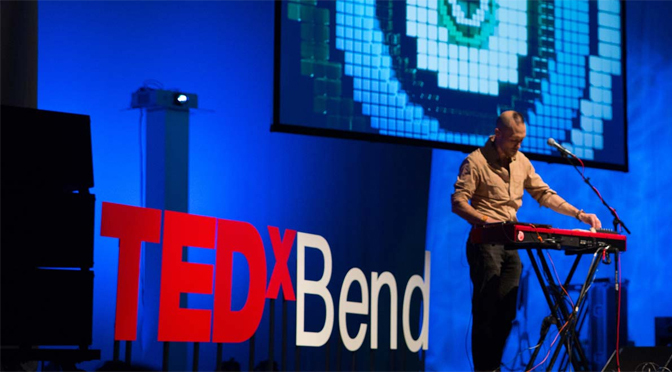 Here in Bend, TEDxBend is run by an organizing committee, and directed by the TEDxBend Board who oversees the 501c3. In addition to the main event on May 13, TEDxBend hosts monthly salons, TEDxBend Women and soon to come, a youth event in 2018. This year’s program, as always, provides diverse and intriguing topics from stage. ⦁ Did you know some experts say we have not five senses, but more than 30? ⦁ What do you think really counts in helping someone transition from doing time to doing life? ⦁ Have you ever considered what being white and male really can mean in partnership? 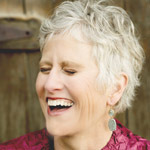 ⦁ What does singing together do for us in community? ⦁ Do you read the comments sections? ⦁ We had a wild snow year—what do you know about the white stuff? ⦁ What are the implications of our fervor for youth sports in the USA? And so much more…a 10 year-old fiddle champion, the Ayayat Idait Tena Numu dance troupe, a cellist and a belly dancer, and the country’s only Asian rock dance cover band! Tickets are still available at www.tedxbend.com and with plentiful opportunities for interaction with one another and with performers, this year’s event promises access for all and more ideas worth sharing than ever!